If you're at home or in a nursing facility, there's no reason you should have to forego podiatric care that can help you feel your best. Dr. Marcie Matika offers house calls and nursing home visits to provide care to patients who are unable to leave their homes or nursing facilities so men and women can continue to receive the best care possible. "Fantastic doctor with great detail to attention." What types of treatments can Dr. Matika provide during a home visit? Dr. Matika has been providing comprehensive treatments during visits at private homes and care facilities to address a broad range of issues that cause pain or make it difficult for patients to remain mobile. From the initial evaluation and diagnosis to checking up on patients following surgical procedures to monitoring progress through the course of care, Dr. Matika offer a wide array of podiatric services so patients who are unable to leave their homes or nursing facilities don't have to forego having the most effective, safest care for the best results possible. Call the office to learn more about home visits. What is involved in an home visit? During the first part of the visit, Dr. Matika will talk to you about your symptoms and discuss any pain or discomfort you may be experiencing. She'll also ask you about any previous injuries, surgeries or conditions of your feet or lower legs, as well as any medical conditions you may currently be dealing with, like diabetes or heart disease. After discussing your condition and medical history, Dr. Matika will gently examine your foot and ankle area so she can assess your condition, make a diagnosis and initiate treatments to help you feel better and improve your mobility when possible. She'll also make recommendations that can help you ensure your feet stay healthy between visits. Is it OK for my caregiver or family member be involved in my visit? Of course; many patients prefer to have someone else present during the exam so they have an “extra set of ears” to listen to the information the doctor provides during the exam, and also to ask questions the patient may have overlooked. Plus, when someone else is involved in your care, it can be helpful for them to hear firsthand how they can help you feel better. We accept all PPO insurance plans and Medicare. If you do not see your insurance company on the short list below, please call our office and a friendly staff member will be able to assist. 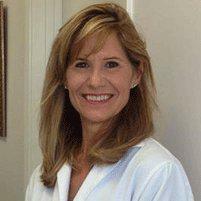 "Dr. Matika is wonderful! She's knowledgeable, pleasant, and makes you feel comfortable and at ease. Great office and trustworthy doctor."